Playful, melodic, hand-made ambient electronic music. In helium, prettyhowtown (San Diego area performer John Noble) weaves a more contemplative web. Created entirely on a custom-built modular synthesizer and played live, these are "smaller" works: quietly intense, and truly ambient. As a performer, John is pleased when people react to his music at live shows by using it as a background for conversation, quiet thinking, or even sleeping—this last is a very high form of applause for an ambient live set! Helium is music for a tranquil evening. 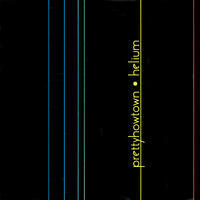 License Playful, melodic, hand-made ambient electronic music by prettyhowtown for your project. Play the music of prettyhowtown in your restaurant or store.